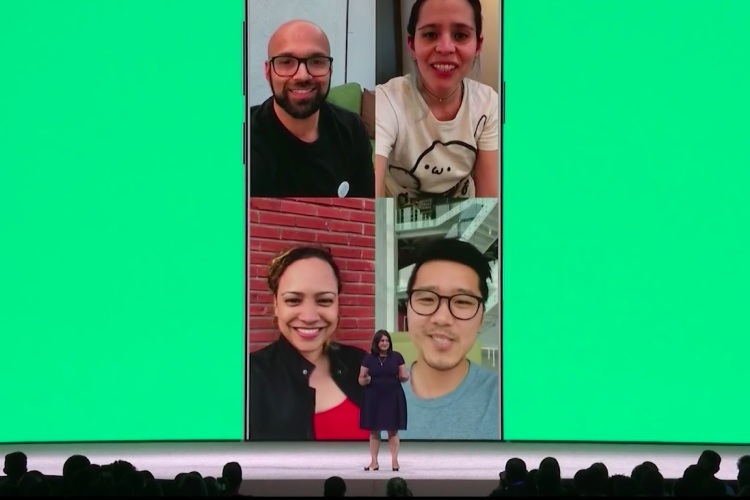 At F8 developer conference earlier this month, Facebook announced that Whatsapp is finally getting a group video calling feature later this year. But, it appears the messaging giant has already started testing this feature with select users, as reported by well-known WhatsApp tipster WABetaInfo. In a tweet, WABetaInfo says that some ‘very lucky’ users with WhatsApp build 2.18.52 on iOS and 2.18.145+ could have the group video calling feature activated for them. While some users may have received the group video calling feature, there does not seem to be an invitation system – like the one we saw with WhatsApp Payments – in place to invite other users to try out the feature. In a follow-up tweet, WABetaInfo says out that you can check whether you’ve received the feature by placing a normal call to someone from an individual chat. If you notice a new “Add participant” button appears at the top right of the calling window then you’ve received the feature and can add more people to the video chat. Several users speculate that it works only when a Whatsapp beta user calls another beta user on Android. I tried looking for this feature on several devices, as well as WhatsApp builds, in our office but none of us have received it yet, even on the beta build 2.18.155, which only tells us how limited a rollout it is. Additionally, WhatsApp is rolling out improved group management controls and will soon add the ability to send stickers for more fun and interactive chats. Are you excited to group video call with your friends? And is the feature live for you yet? Tell us in the comments down below.